More than a million people have fled Syria, Iraq, and other troubled regions seeking refuge in western Europe. Now with increased border closings, over 50,000 of these refugees are stalled in northern Greece, Athens, or on the country’s islands. Here they face a long-term stay in detention centres and makeshift camps, many of which lack the basic necessities of food, water, sanitation, and shelter. 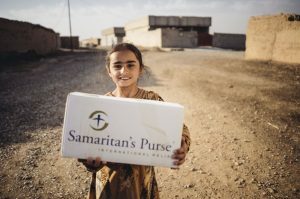 Samaritan’s Purse is working with the Greek government, international agencies, and local churches to distribute food and supplies and to provide clean water along with proper sanitation.